Bill Harrison, owner of A&S Painting, in Lansing, IL, has a unique perspective on closing out jobs. 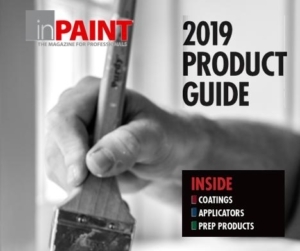 While some painting professionals have established checklists that demand a customer walk-through payment and numerous contract stipulations, Harrison, on the other hand, sees closing time as a paint pro’s chance to make one last good impression. And going above and beyond with job cleanup, he says, is the best way to do it. To start, Harrison emphasizes the importance of being invisible to the customer once he leaves the site. Streaks, smudges, even fumes, are unacceptable. Before he gets final sign-off from a customer, Harrison does a mock walk-through of the job, putting himself in the customer’s shoes. “There should be no sign that I was ever there painting. Period,” he says. Harrison says it’s far too common for pros to let floor clean-up slide. His team, however, will sweep, mop and even vacuum daily, if needed. Clean as you go, he adds; and as an extra touch, he replaces outlet covers that are in bad condition. “One customer said she wanted to hire me to clean her house every week because I did such a good job on the floors,” he recalled. For exterior jobs, Harrison often goes beyond the simple scope of work when pressure washing; he makes it a point to pressure wash nearby or adjacent sidewalks or walls, as well. “That’s nothing for me to do, and customers really appreciate it,” he said. After the walk-through, he isn’t afraid to show off his work. “Once everything is complete, I take photos and post a final picture on my Facebook page. Prospects can see every job I’ve done in the past five years and post reviews. It’s been a good source of work for me,” he added.